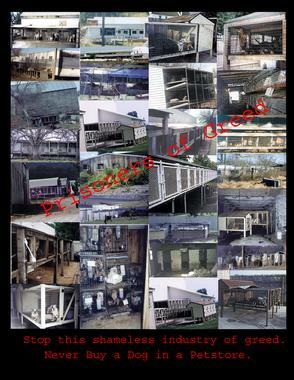 Puppy Mills are breeding facilities that produce vast numbers of dogs purely for profit rather than for the intergrity of the breed. 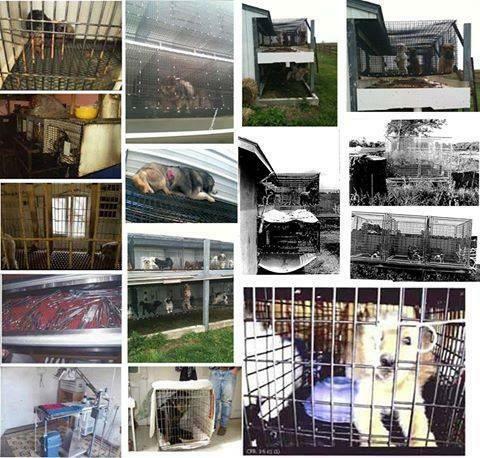 These dogs are housed in small overcrowded cages with little to no room to move, usually the cages are on top of eachother, the dogs never touch grass, do not receive routine or proper vet care or human contact --- unless it time to take the pups away. 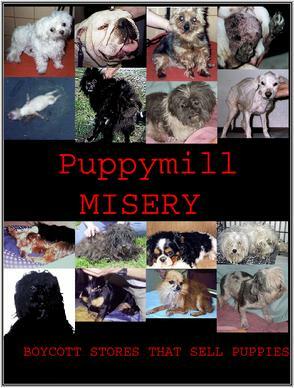 Puppy mill dogs typically have many physical and psychological scars. 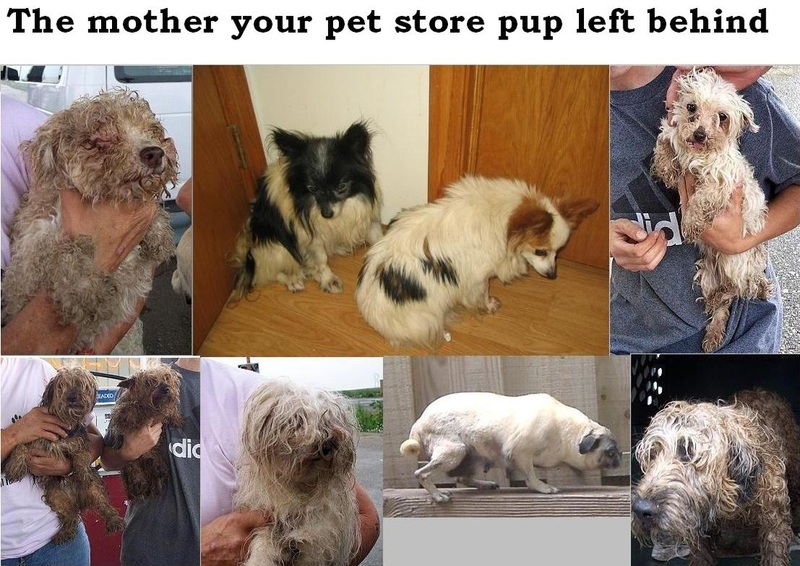 The dogs are usually parasite ridden, underweight, have infected gums and bad teeth, eye infections, vision impaired or missing limbs. Mill dogs do not have a name but instead a number. This is where the puppies in pet stores come from.